Quick and Accurate Measurements - Track your body weight, body fat, BMI, percent lean body mass, percent bone mass, and water weight. Easy Setup - No difficult device pairing required. Just download the app for your iPhone or Android device, enable Bluetooth, and step on the scale. Detailed Trends - Track your fitness and nutrition in the Argus app and monitor changes in your body composition over time. 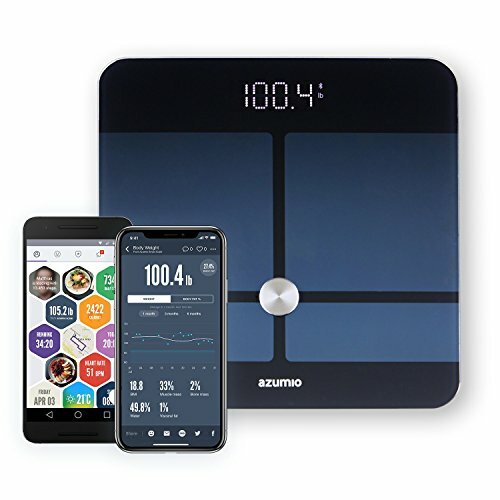 If you have any questions about this product by Azumio, contact us by completing and submitting the form below. If you are looking for a specif part number, please include it with your message.